America's economy is getting slugged left and right. The U.S. economy only grew 1.5% between July and September, according to the Commerce Department. 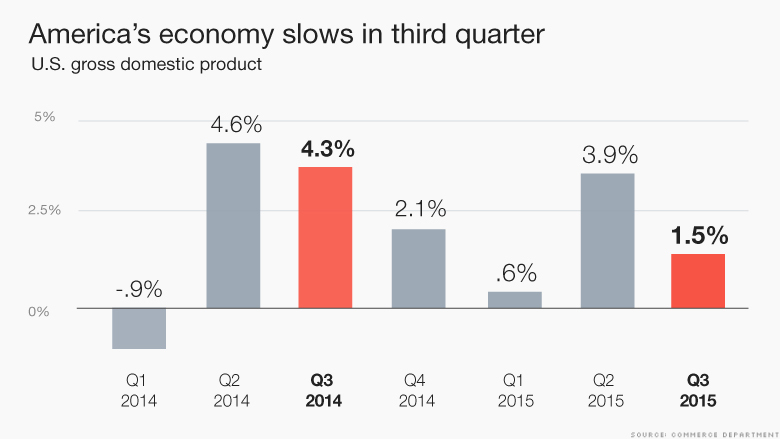 Growth slowed a lot from the 3.9% pace recorded in the second quarter this year. It is also much lower compared to the third quarter of 2014, when the economy grew 4.3%. The global economic slowdown and strong U.S. dollar are weighing down American manufacturing, trade and exports. The low-growth figure was mostly expected by economists. However, it's not all bad news. There are signs of life among American consumers, who make up the majority of U.S. economic activity. Sales at restaurants and car sales continue to pick up steam into the holiday shopping season. Consumer confidence is also higher this year than it was a year ago. 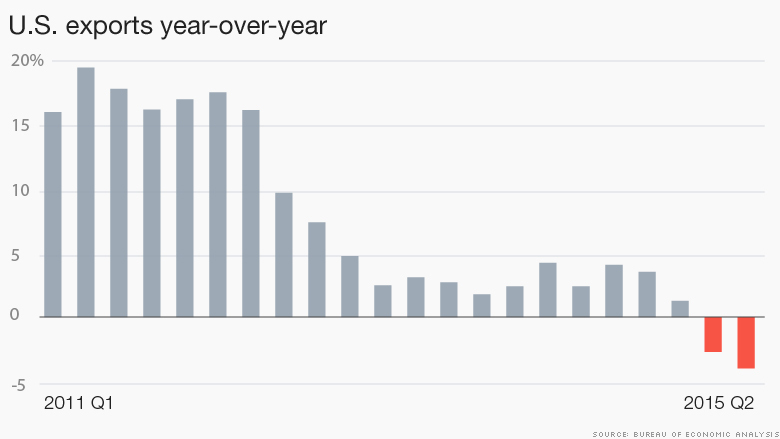 But U.S. exports have declined this year for the first time since the Great Recession. That's a troubling trend for big, multinational companies that sell products abroad. The U.S. dollar has gotten stronger against all major currencies in the past 12 months, making American products more expensive overseas for foreign buyers. At the same time, China's slowing economy has pushed down economic growth in many emerging markets like Brazil, which are key trade partners with the United States. Outside of exports, third quarter growth also got dragged down by a downturn in government spending, business inventories and business investment in infrastructure projects, such as building a new office. 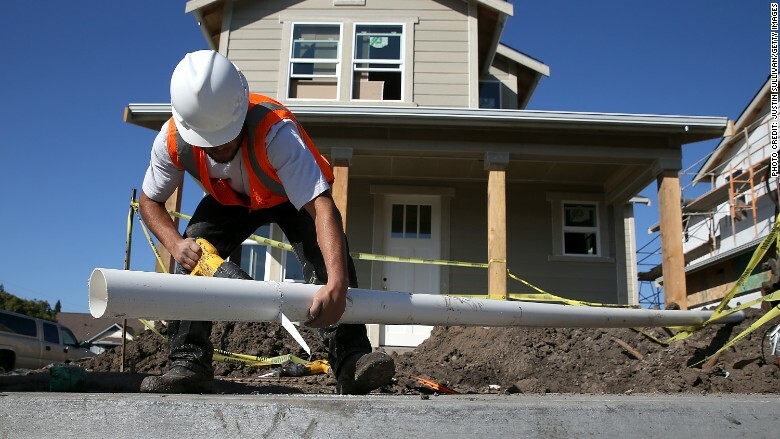 The economy's slow growth comes after a slew of other weak numbers. The September jobs report was disappointing, American manufacturing is on the verge of shrinking and inflation and wages remain relatively flat. Economic data is being watched extra closely this fall as the Federal Reserve considers raising its key interest rate for the first time in almost a decade. The Fed didn't do a rate hike Wednesday after its two-day meeting but its committee emphasized that a rate hike could still happen after its meeting in December. Thursday's figure was the Commerce Department's first estimate of U.S. economic growth in the third quarter. It will publish two more estimates later this year.